Mama Marcie: Baby, Where are you? It's been a while since I have updated... for a completely different reason this time. You could say it has been a frustrating week, but when you look at it from the right perspective, it has been a week that taught me perseverance. But then again, hasn't the past 9 months been teaching me that every single day? Remember this? This was Isabel at 7 weeks old. Just a spec on a sonogram that you can barely distinguish, but already so important. Already full of potential and so completely loved. I can honestly say that at that point, I had no idea the emotions I would be feeling in the next 30 weeks. And here is my sweet girl at 19.5 weeks. Look at how much she grew! You can already see that sweet tummy and sweet little nose, and can imagine the thick curly hair she will inevitably have :) I can just picture her swaddled with the tiniest green socks that her Auntie Lisa bought for her and us rocking and soaking up her smell and trying to get in as many kisses as I possibly can before she grows even more! Oh we are SO blessed. So incredibly lucky to have the opportunity to unite our family with this child. So lucky to be able to be her mom and dad and to teach her how to walk, how to read, and all about God and how much He loved her, even before she was that tiny spec in the first sonogram - the first time we saw her. 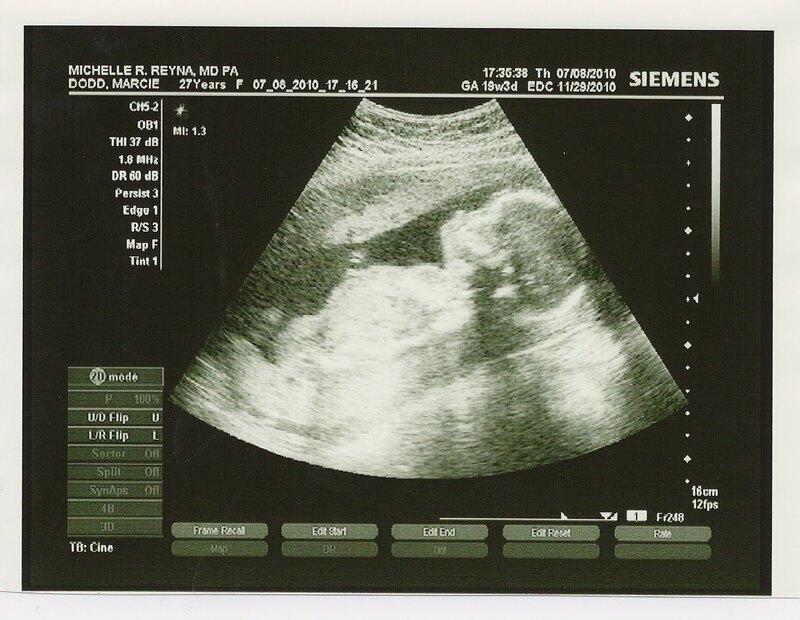 And we are SO blessed that she is healthy! A friend of mine posted this on her blog this morning and it really put some things into perspective for me. This family cherished every single minute, and that is my goal. Though I believe I will get to love on my daughter for her very long and full life, we are never guaranteed another day - so why wish for the next when today has so many awesome adventures of it's own. Baby Eliot was a miracle, and he changed lives before he could even talk. Doesn't that give you chills? 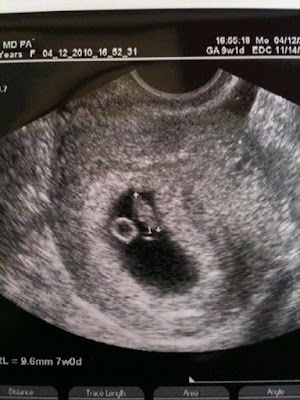 This post has enough information on it's own, so I will give you my baby update in the next post.